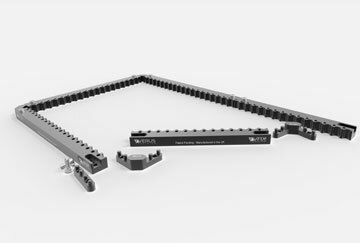 A Truly Modular Metrology Fixture Kit the V-FIX4™ system allows for fast interchangeable pre-assembled holding solutions. 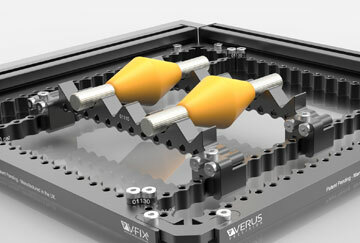 Build multiple modules off line and drop them into the V-FIX4™ frame when you need them. 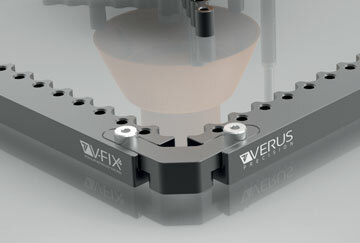 Verus Metrology Partners are delighted to introduce our new modular metrology fixture kit V-FIX4. Since 2008 Verus have been providing high quality bespoke metrology fixtures for both CMM and Vision machines alike and can now bring all of that experience and expertise into producing a modular fixture kit. Designed and manufactured to the same high standards entirely in the UK and Ireland, Verus offer the ultimate in efficient, repeatable and robust systems for the accurate location of customer parts. The kit is designed to be as unobtrusive as possible to allow as much of the measurement area to be accessible, whilst upholding the highest structural integrity by manufacturing all of the key part location features from hard anodised aluminium. 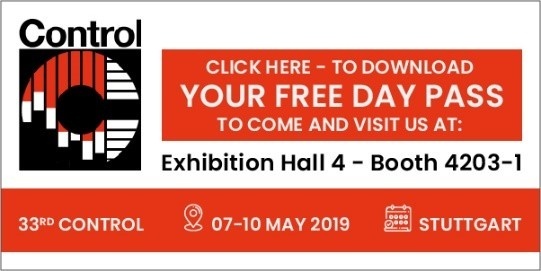 The intention is to offer the manufacturing world the same level of accuracy and consistency from a modular kit that Verus are renowned for, with their bespoke solutions without compromising the ease of use. Each kit has a selection of interconnecting links of various sizes to ensure that the location features are always in the right place and that access for any of the measurement sensors (Optics, Probe or Laser) is not impaired. Take a look at the new V-FIX4 today and "let the quality shine through." Minimum visual interference due to the unique skeletal system design which requires no base plate. All system components can be assembled in multiple orientations and configurations. Modular design allows rapid extension of kit scale and functionality to accommodate multiple machine and component geometries. Hard anodised aluminium construction for durable, robust and repeatable use. 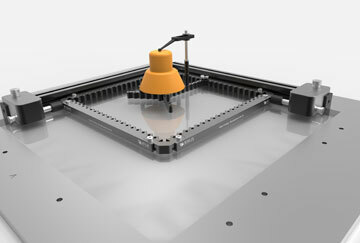 Designed and manufactured in the UK and Ireland. If you would like to know more about our V-Fix kits or place an order, then please contact us via the button.